Top Rated. 5-Stars. 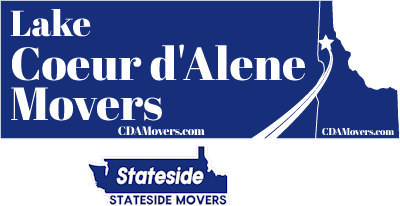 Serving Tri-Cities with Professional Moving to or from Coeur d'Alene. Call Today. Free Quotes! Personalized, Five Star Service. Welcome to Lake Coeur d'Alene Movers. Depending on how much you own, moving can be a matter of throwing everything in the back of a pickup and heading off to college, or taking a house full of furniture, clothes, prized heirlooms and much more and moving to a place far away and in this case that's Tri-Cities, WA. Having that load arrive safe, on time and in the condition in which it left is best entrusted to licensed, certified professionals. In most places, movers are regulated by the State; interstate movers are also regulated by the US Department of Transportation. Everyone has an interest in seeing that any cargo taken across state lines meets safety and insurance conditions. A few states now have toll roads for truck traffic as well and most have weight stations to control cargo weights. Your possessions are your wealth and heritage. Would you entrust them to anyone but a five-star long distance and interstate mover? Five-star ratings are awarded by satisfied customers. They are earned through hard work and delivering hat was promised. Less than five stars mean something didn’t go well. As the saying goes: “do the math”. Stateside has earned its five-star rating and intends to keep it by satisfying its customers. Tri-Cities: Adventure and quality lifestyle are waiting Southeast Washington has an attractive region called the Tri-Cities. Kennewick, Pasco, and Richland comprise an area where the sun shines 300 days of the year, where three mighty rivers, the Snake, Yakima and powerful Columbia meet, and where there is more to do than most people can imagine. No wonder people are moving here. The rich soil and incredible climate make this a place to grow: crops and imagination thrive here. 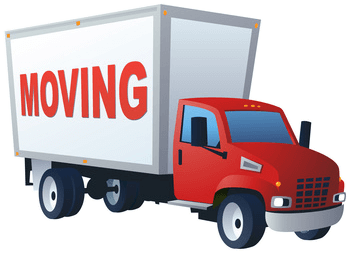 Many movers will show up with the truck, load your cargo and deliver it. But that’s actually only a part of a long distance or interstate move. The hardest part is getting that cargo ready to load and deliver. 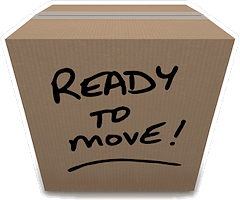 Lake Coeur d'Alene Movers / Stateside Movers LLC will pack and load and unpack your household goods and take a load off your mind and help you save your energy for the adventure that’s coming in the Tri-Cities. Our experts will size up the task, get the right number of boxes and padding and help you empty drawers, closets and storage areas and get the whole thing on its way to your new home. We can unload and unpack too. Long distance and interstate moves are serious decisions. Doing your homework for the move means finding the most experienced and qualified mover. Stateside has earned a five-star rating and is waiting to get you moved to the exciting Tri-Cities.